highest speeds and duty cycles in its class! The rotary-only Truper 3610 ejects documents on the same side users feed them, making it easy and efficient to operate. With its small footprint, the Truper 3610 fits easily on a desktop. With VRS Professional, Trūper Series Scanners dramatically reduce document preparation time through many efficiency enhancing features. The combination of efficiency, high-quality images and a high duty cycle makes Trūper Scanners an obvious choice for today’s document management applications. Auto Orientation - Documents can be scanned in any orientation, reducing preparation requirements. The Auto-Orientation feature electronically rotates the image so that it can be read right side up by the scanner operator. Auto Color Detect - Scanning color for color, bitonal for black and white. With Auto Color Detect, Truper eliminates the pre-sorting of batched documents and the inserting of patch codes and separator sheets previously needed to capture color content. Blank Page Deletion - Eliminates blank pages when scanned in duplex. This feature reduces files size and storage requirements by detecting and deleting blank pages within a scanned image. In addition, it also reduces document preparation, as you can put both simplex and duplex documents in the same batch. Without exception, VRS Pro improves your workflow and reduces the total time needed to scan even the largest volumes of mixed batch documents. Taken together, the benefits of Truper's VRS Pro bundle translate into real and measurable savings - fewer manual steps, reduced storage requirements and less operator intervention. Auto Orientation: no problem mixing landscape and portrait documents. Auto Orientation automatically displays scanned images “right side up” as they are normally read. Auto Orientation reduces document preparation, scanning interruptions and operator intervention. Blank Page Deletion: save file size and money. 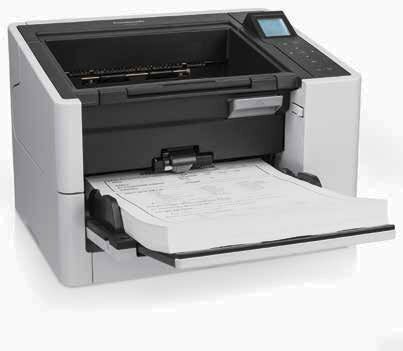 With Blank Page Deletion, Trūper Scanners automatically detect and delete blank pages when scanning in duplex mode. Blank Page Deletion reduces scanned file size and document preparation. User-replaceable parts: reduce service calls. With easy-to-change and easy-to-clean parts, ongoing routine maintenance can be handled by scanner users. This reduces the need for service calls and allows you to boost scanning efficiency. Both Trūper models use the same consumable kits, which eliminates the need to stock multiple kits for multiple scanners. USB 2.0 - Truper supports industry standard, high speed interfaces. 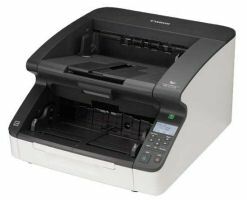 Speed: Up to 90 page per minute in simplex mode or 180 images per minute in Duplex scanning mode. 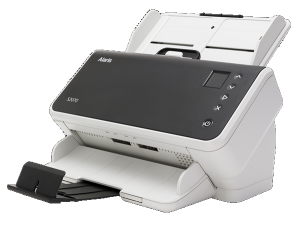 Automatic Document Feeder: greater capacity for more documents. The ADF’s 200-sheet capacity increases your batch scanning options and helps maximize your productivity. In addition, the document guides in the feeder area are lockable and can be positioned independently, to maximize feeding flexibility. Trūper Series Scanners deliver great image quality that meets the demands of modern document management solutions. Whether you scan bar codes, forms, invoices, patient records or EKG strips, you can be confident that Trūper Scanners will accurately capture your images and increase your OCR/ICR read rates. The LED lamps are designed to last for the life of the scanner, and their bright light renders true illumination to enable accurate color imaging. 0.05 to 0.15 mm (2.0 to 5.9 mils) Note: 1 mil = 1/1000 in. As an Energy Star® Partner, Eastman Kodak Company has determined that these products meet Energy Star® guidelines for energy efficiency.